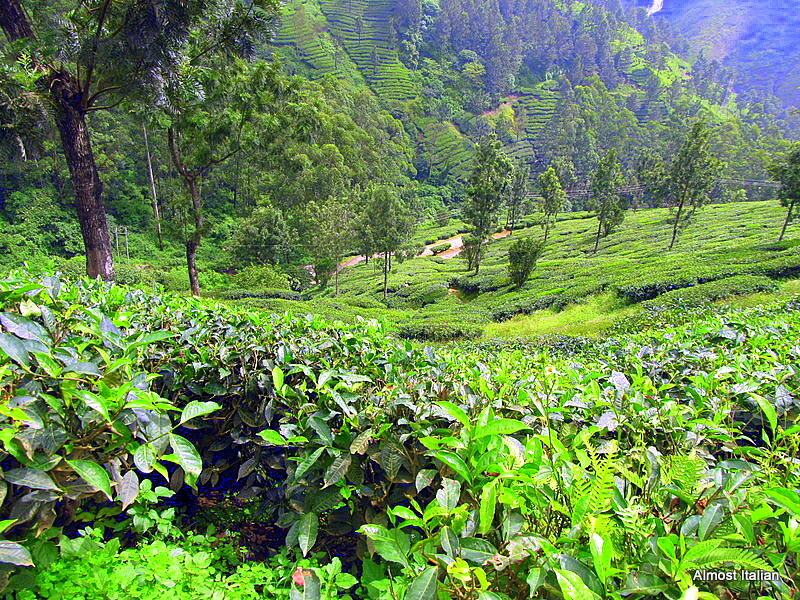 The bountiful tea plantations of Munnar, Kerala. When I think of bountiful, I think of Kerala: the words almost seem synonymous. Kerala is a stunningly beautiful state in Southern India. Spices have been exported from Kerala since 3000 BC. Driving through the lush hinterland, hills are covered in rubber, coffee, and tea plantations, followed by bananas, coconuts and palms. Vanilla and peppercorn vines climb towards the light from the forest floor: cardamom bushes form the lower story. It is indeed ‘God’s own Country’, a garden of Eden. The State’s coast extends for 595 kilometres and around 1.1 million people are dependent on the fishing industry. A holiday in Kerala is a most relaxing experience. Recommended is a stay on a houseboat/rice barge along the backwaters of Alleppey, a stay in a yoga retreat and spice garden in Munnar, and some beach time along the cliffs of Varkala, taking in the afternoon breeze of the Arabian Sea. The Keralans are so friendly, you will never want to leave. Thanks Ailsa, from Where’s My Backpack for the prompt. Dinner for two? 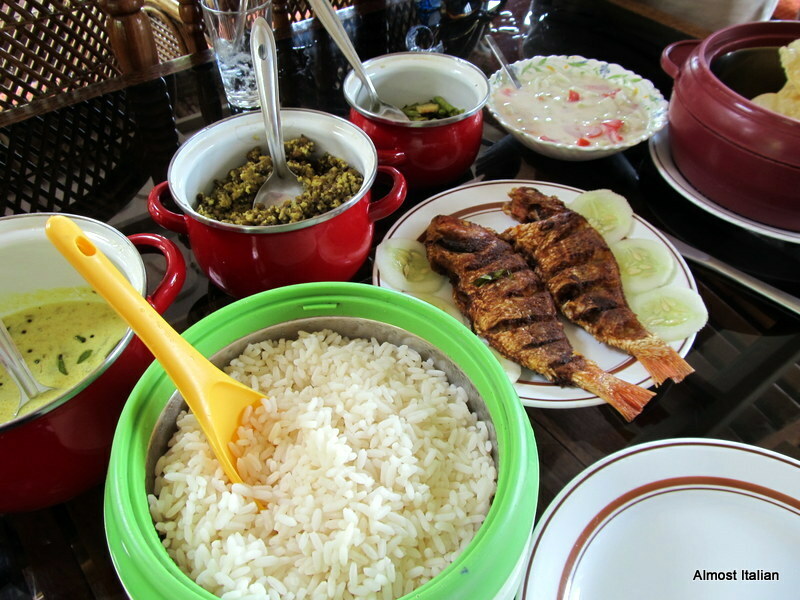 A bountiful feast on board a rice barge in the backwaters of Kerala, India. Getting the suitcase down now—Thanks Francesca! It is a very special place. Oh that looks too good! Befitting of Garden of Eden ..
Are those terraces in the background? They look spectacular! Yes terraces of tea. It all looks like carpet really. Those dishes look very appetizing! Yum! Francesca, your post takes me back home, literally, home for me is Kerala, and you are right about everything in God’s Own Country….I can sit here in NYC and close my eyes and be transported back to a houseboat in the beautiful backwaters! I love the traditional food you have pictured above. Glad you enjoyed Kerala! Great blog Francesca. I enjoyed reading your blog post about Kerala. The second picture you showed is quite tempting. I love South Indian cuisines (especially the fish curries), they have this very distinct taste and cannot be resisted. Thank you for sharing this post with us. Lord of Morning Star- such a wonderful phrase. Kerala – beautiful Kerala – the land of Spices, Coconut trees, Backwaters and so much more!!! That’s the phrase many, including I, prefer to use. I now have to make time once again to read everything you wrote for your own readers about this new home of mine (my husband is Malayalii) Thank you so much, Francesca. It is such a special place.